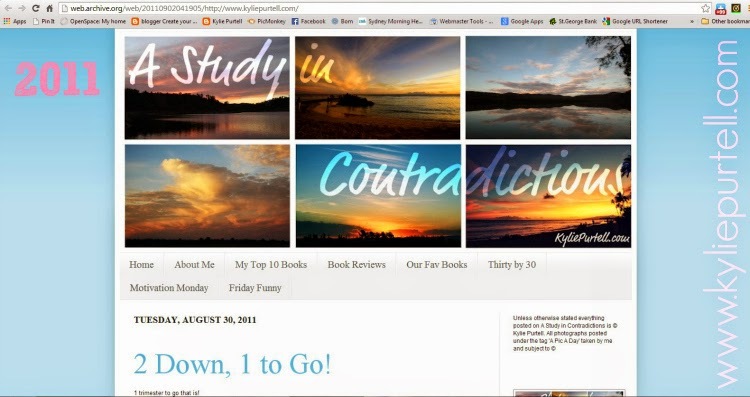 So you may have noticed that this coming week marks 5 years since I started blogging. And if you didn't? All I can say is, shame. You can crawl back to your rock now. Hehehehe. Not really. Please stay. I promise I'll play nice. Mostly! 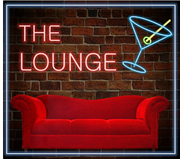 So to celebrate my bloggy birthday, and the fact that I am super-stoked to be the first-ever guest host of Thursday's BEST linky party, The Lounge, I picked the theme Birthdays & Anniversaries. So link up your birthday or anniversary-related posts below so I can give some Loungey-Loving! 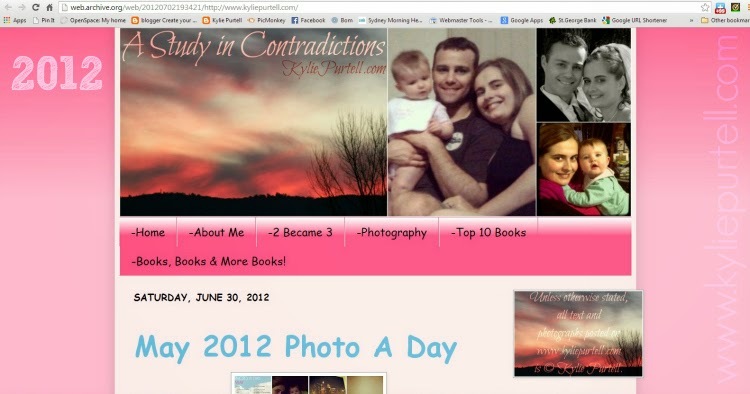 I promised in Tuesday's birthday giveaway post that I would share a little more about my blogging journey. 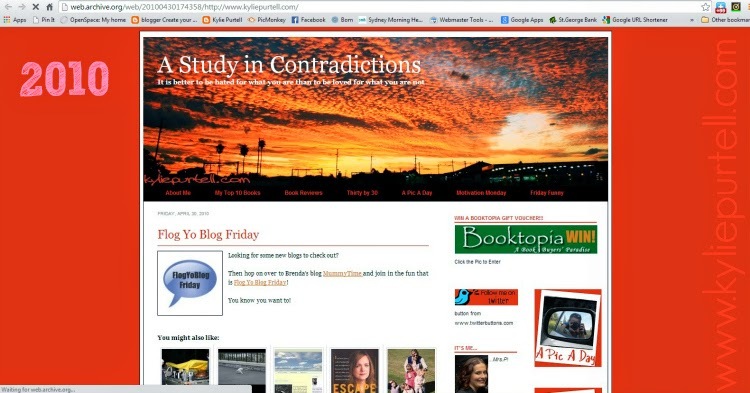 I started blogging on May 28th 2009. In that time I've published 1,178 (this will be post published 1,179) and I currently have 63 posts sitting in my drafts folder. If you were to average it out over the last 5 years it's roughly 4.5 posts a week. For most of 2011 I was pregnant with Punky, and for the last half of it I just didn't feel like writing. I barely managed to write two posts a month. Looking back now I wish I had documented her pregnancy a little more, but at the time I was more interested in lying on the lounge eating and reading pregnancy books and daydreaming about the life growing in my belly. The first 8 or so months of her life were a bit of a blur. I didn't post much for than 2-5 times a month, if that. I was firmly lost in the fog of new motherhood, and I was finding it hard. It wasn't until about the time I went back to work part-time and Punky started sleeping through the night that I kind of started to emerge from that fog. 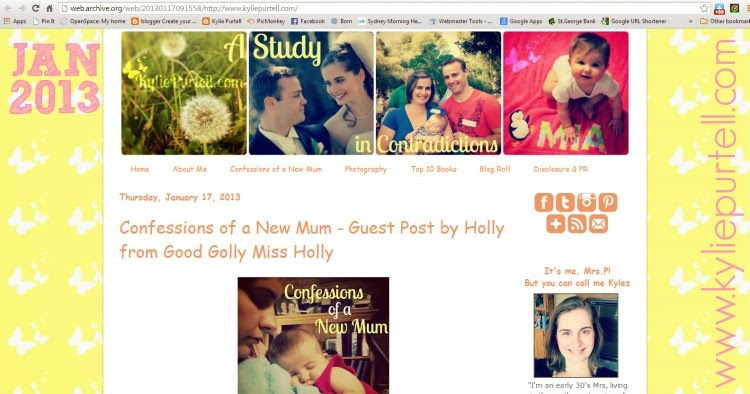 I was inspired by my good friend Kelly HTandT starting a blog and suddenly I was filled with inspiration, ideas and blog fodder. My blojo was back with a vengeance! Since then I've blogged pretty consistently, cutting back after Zee was first born, as well as the usual breaks over Christmas and Easter. Once I emerged from that new-Mum fog there was no holding me back from the community that I had loved so much. From the people that had become friends. Even throughout the time I wasn't blogging often I still received such lovely support. The people, the other bloggers, they are the reason why I come back to it and keep going. I love reading your stories, and I love sharing mine. I love meeting new people. I am inherently curious, so to be allowed a peek into the lives of people I might never cross paths with in offline life is a real privilege. In 5 years I've evolved as a blogger, in the same way that I have changed as a person. I'm not the same person that wrote that first post in May 2009, and I love that I have this record, this online evidence of the changes that have occurred in my life. The more I write, the better I get, and I can't see myself stopping any time soon. I enjoy it way too much for that. And if I didn't blog then Dave would probably divorce me. Heck knows I need somewhere to unleash my thought-vomit! And I thank you for daring to read said thought-vomit. You're too kind! Thanks for stopping by today and reading a little about my blogging journey and helping me to celebrate my bloggy birthday and the anniversary of my first post. As I mentioned above, I'm hosting The Lounge, so link up your birthday/anniversary-related posts below and I will pop on by to share some bloggy-love! P.S. Don't forget to enter my bloggy birthday giveaway by clicking on the "Bloggy Birthday Bonanza" image at the very bottom of this post. Wow - 5 years! Good for you! Congrats and great work. That's quite a positive and productive blogging story, Kylie. I can't even know for sure if I'd ever READ a blog in 2009, let alone write one (the following year). Wish I could pump out a few a week like that, well done! Happy bloggiversary!! I will be back tomorrow to link up!! Congratulations on your 5 year blog anniversary, Kylie. That's quite an effort! 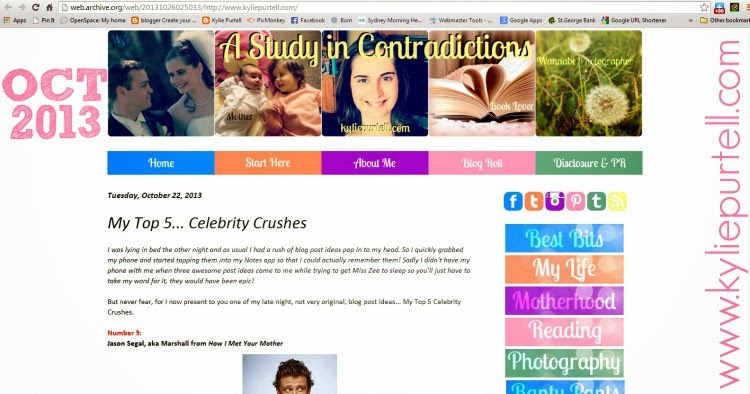 I'm new here to discovering your blog. Lovely to meet you. All those screen shots! How did you get those?? Just awesome your journey so far, you're one of the longest bloggers I read. Love it - and you!! How amazing is this whole blogging caper!? Thank you for being an awesome host this week too! Happy Birthday once again! I can only imagine what 5 years of blogging must look like! I agree that it will be a great way to look back on life and see where you've come from! I have no idea where I'll be or what life will look like when I reach that milestone in 3 and a half years! I seemed to have not done a one year anniversary post but have linked up my 100th blog post that I celebrated. Wow 5 years, thats a long time to be blogging. And still be so inspired by it that you can post that often. I wish I could, but I just don't have the time to do so. 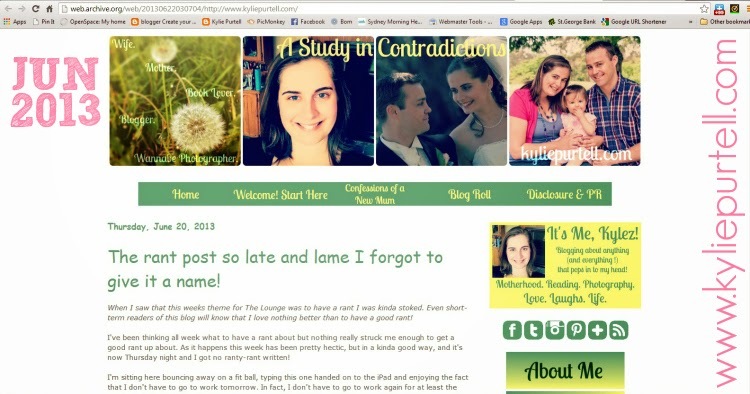 Love seeing your changing blog!! Congratulations on a rollercoaster 5 years! Lets hope the coming years see you still enjoying your blogging passion!